Information and facts on how to find the right tenant for your rental property, viewing procedures for the property, negotiating to get the right deal and how to close a rental deal. This series of guides is written by the experts at an established London Estate Agency. They have many years’ experience in the rental market and they are happy to share their insider knowledge with you here. If you want to rent out your property without an agent you need to consider how you are going to find the right tenants quickly and efficiently. We answer the question ‘how do I find the right tenants for my property?’ and give you some useful pointers on how to stay focused throughout negotiations. We also offer advice on how to take up tenants references. Make sure you attend all viewings – you can use this appointment to meet the prospective tenants, ask them questions, and also check on how the property is looking. Take contact names and numbers – check they are valid by phoning prior to viewing to confirm. It is a good idea to leave a record of who you are meeting, and their contact details, with a third party for personal safety. If you are worried about meeting a tenant at an empty property take someone with you. Take block bookings to ensure tenants realise there is competition. This also cuts down on timewasting due to ‘no shows’. Tell tenants about the competition – tell prospective tenants how much interest your property is generating. Arrive on time. If you are early you can check the property is tidy, turn on lights and heating, air the rooms etc before your clients arrive. Be positive and upbeat about the property, the area and the neighbours, answer any questions truthfully. Be flexible if you can, but firm – don’t make false promises or agree to something that you will regret or cannot deliver. Notify current tenants – if you have current tenants you must notify them. Check your agreement details, most require 24 hours, but if your tenant is willing they can allow you earlier by negotiation. If you find it hard to negotiate use your ‘ideal, acceptable and not acceptable list’ from Part 2 under the heading ‘targeting your ideal tenant’ [insert link] to keep you on track. You can also claim you need to consult with a third party before making a final decision or simply say ‘I need to think about that’. Give the tenant a firm commitment on a time to come back with a decision. Don’t leave current tenants to show prospective tenants around – unless you really cannot meet clients there, and you are really sure current tenants will present your property in a positive light. You can do all this by making conversation, be polite and friendly, there is no need to pump them relentlessly. However if they are not answering a question it is important to you make sure you pursue them for clarification. Be prepared for haggling – The tenant may want to negotiate on price and or the move in date, it is best to give and take. Judge which is most important to them and to you and aim for the best deal while appearing flexible. Apply a little pressure – explain you have other interest and that you will not hold the property without a commitment from them. Set out preferred timescales. Feedback – One of the points often overlooked is feedback from tenants who chose not to take your property. Ask them why they didn’t rent it, you might find there is something you can offer to other prospective tenants that make a difference. When you ask for feedback, make it clear when asking that you will not be offended, you just want to improve the chances of letting your property. Have details of running costs if you can, prospective tenants often like to know rough costs of council tax and utility bills. 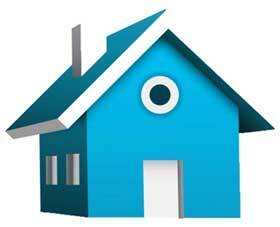 Explain your requirements – tell tenants what paperwork and references you want, detail deposit and rent requirements. Make it clear what is and what is not included in the arrangement. Take a holding deposit – This is a sign the tenant is serious, and holds the property while references and other paperwork are prepared. It is deducted from the amount owed by the tenant at the start of the tenancy. One weeks’ rent is reasonable, providing the tenant intends moving in fairly soon. Explain that your costs incurred are forfeit if they don’t proceed or if their references are unsatisfactory. You should issue a receipt and give them a letter with the rent and tenancy start date agreed ‘subject to satisfactory references’. Admin fees – you can charge the tenant an admin fee for processing references but many tenants use private landlords to avoid these fees, so this will have to be subject to negotiation. You cannot take a ‘registration fee’; you can only take a fee if you are seriously intending to proceed with a tenancy with that person. You are in charge – whether to accept a tenant or not is up to you. Don’t feel obliged or pressured to take someone you feel uncertain about, no matter how persuasive they are or how urgent their need. Many companies allow you to take up a credit reference on a prospective tenant and some specialist rental referencing agencies such as Paragon or Letsure (www.letsure.co.uk) also offer landlords rent guarantee insurance. Previous landlord contact details – include phone number as a conversation is usually most candid. Ask them if their tenants paid all the rent, on time, whether they had to be prompted to pay, did they look after the property, were there deductions to deposits, any damage, any neighbour complaints, and finally were they easy to deal with. Bank statements – 6 months should give you a good understanding of their finances. Guarantor – If the tenants are students or have financial issues you may want to ask for a guarantor. This is someone who agrees to pay if the tenants don’t. You need similar documentation to those above for any guarantors and they should also sign a guarantors agreement. Reading through these guides you will see there is a lot of work involved in renting out and managing your rented property.